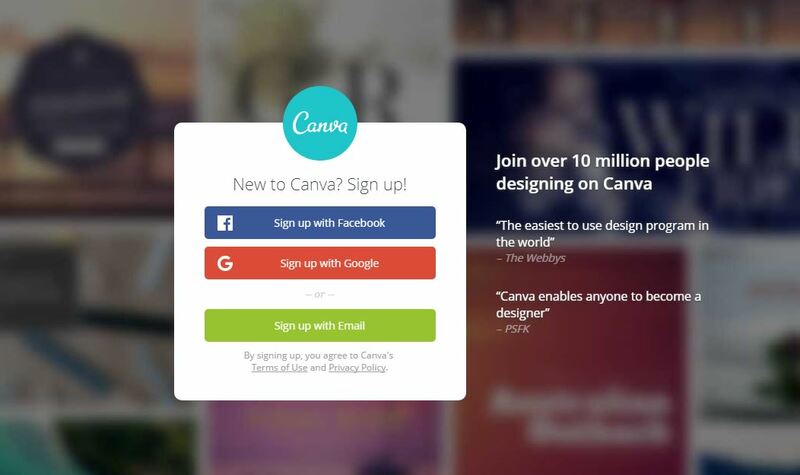 What is Canva? Canva is a design tool that makes you look like a professional designer even when you have no design skills what-so-ever. It’s loaded with enough easy-to-use features and pre-made templates that allow you to create stunning visuals. Canva is great for you if you are a part-time ecommerce entrepreneur, a one man show, or even running a business from your home. There really is “no design skills required” to use the design tool. In this post, I will guide you on how you can craft out stunning visuals for your online business use, so you don’t need to hire designers to get the job done. Your business identity is important so it is really important for you to display it correctly on your site. The copy of your logo you have now is probably a specific size. When you upload your logo, it may not be the proper size for your header. Use the custom dimensions feature to get the exact size you want for your header. Upload your logo or header and adjust the size so it fits the canvas size you selected. Download the finished image either in png or jpg format and upload it to your online store. You can also use the text feature to add in your brand promises. For example: Guaranteed quality, committed to excellence, and so on. A common element in most online storefront is the use of sliding banners. This is usually used to capture visitor’s attention to store promotions or product highlights. The first step is to figure out the size of the banner. If you are unsure about the dimensions, you can start with a 2:1 ratio. For example 600 x 300px is a good start. Use the custom dimension feature to create your custom canvas size. Upload images you would like to use for the banner. If you don’t have any images in hand, you can look through a library of high resolution images at Pixabay. It’s free to use. Add in texts to the image and use a call-to-action button generator to add in a “shop now” button in your banner image. Upload your product photos and adjust accordingly to the dimensions you have set. A really great thing about Canva is that it comes with many pre-made designs for social media use. The first thing you have to do is choose a design type. This can be the social media platform you want it for. For example, you choose the Facebook post design type if you are looking to create visuals for a Facebook post. Email should be a big part of your conversion strategy. A plain text email can be boring at times. You can spice up your email newsletters with stunning email headers. Choose the email header design type and you can start with the pre-made Canva layouts. Canva is not just for creating visuals for online use. You can also design your offline marketing materials such as posters or flyers. Generate a discount code using EasyStore’s discount code generator and put it into your flyers. You can put in the flyers in every shipment to encourage repeat purchases. Yes, you can also design your business card using Canva. Just choose the business card design type and start with the pre-made designs. You can change the colors and fonts to match your business image. If you are holding off your dreams of running a professional Ecommerce business because you lack the design skills, now there is no excuse. With Canva, anyone can be a professional designer. Start designing a beautiful online store today!